Please read and understand the information below BEFORE completing this form. Expression of Interest (EOI) Form. Completed forms must be submitted to participate as an open studio. You must be able to fulfill all of the following requirements. *Indicates mandatory or required field information. 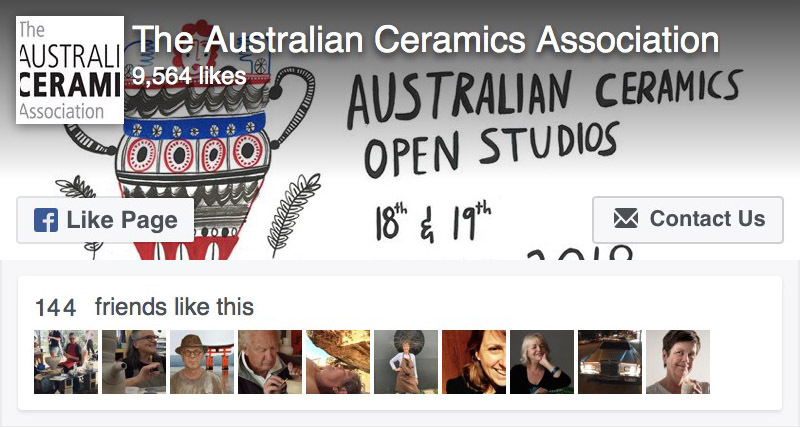 I (and/or my group) am/are current member/s of The Australian Ceramics Association (TACA). All participating artists (or groups) must have public liability insurance with a valid Certificate of Currency^, detailing cover for the dates of the event. I am able to pay the 2016 ACOS Participation Fee after submission of this EOI form. ^Certificate of Currency must disclose the TACA member's name (single person or group). Note, those who have TACA Group Liability Insurance are covered for this event. By completing your name below, you (and your group participants) understand and comply to the above (checked) requirements. Please complete the details of the studio participating in the ACOS event. In the Description field please provide a sentence or two about what visitors to your open studio can expect. For all nominated Social Media platforms complete (copy and paste) the full URL (entering only a username or handle is not adequate), e.g. : https://www.instagram.com/your-username/. NOTE: The EOI Form will not submit if you do not complete the DESCRIPTION field and IMAGE UPLOAD field. These are compulsory for submission. Attach a crisp, clear image of YOU IN YOUR STUDIO, with a file size under 1MB (1000kb). We will use it for publicity and on your dedicated ACOS event web (listing). Please ensure you supply a top quality jpg image. Do NOT upload .tiff files. Click "Browse" below to navigate to your image. Direct Deposit via your online banking, make your payment directly into our bank account. Please use your STUDIO/NAME and ACOS as the payment reference. When you submit your ACOS EOI form, please SUBMIT ONLY ONCE. The form takes time to go through and you will be sent a confirmation email.